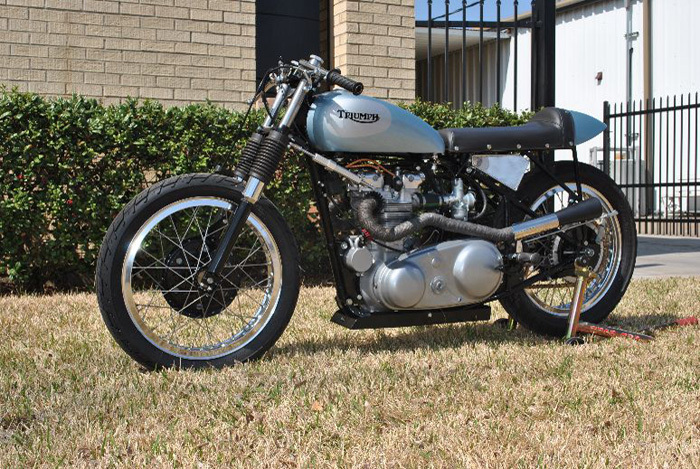 Affectionately named ‘Stiffy’ because of the hard tail (not because that’s what you get when you see it), this bike has a list of mods longer than Kenny Roberts win sheet. 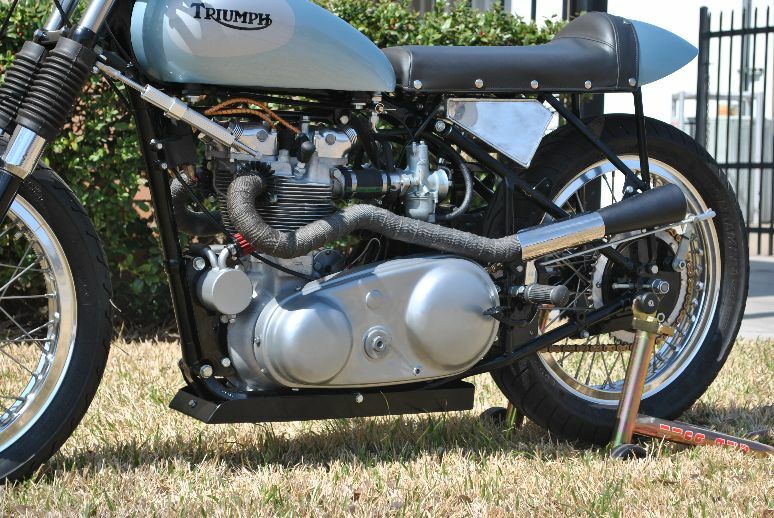 Starting with a close finned 500cc T100 Triumph motor, billet nourish crank and lightning connecting rods from Thunder Engineering. Custom ported head with extended intakes and dual plug set up. Rob Newby belt drive conversion, exhaust modified by Big D Cycles from a period Triumph factory race kit pipes and megaphones. 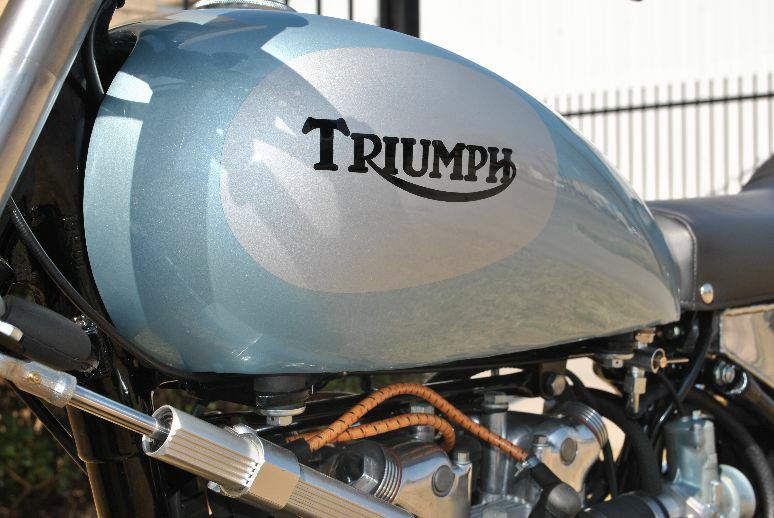 Triumph racing fuel tank which is also from the original factory race kit. 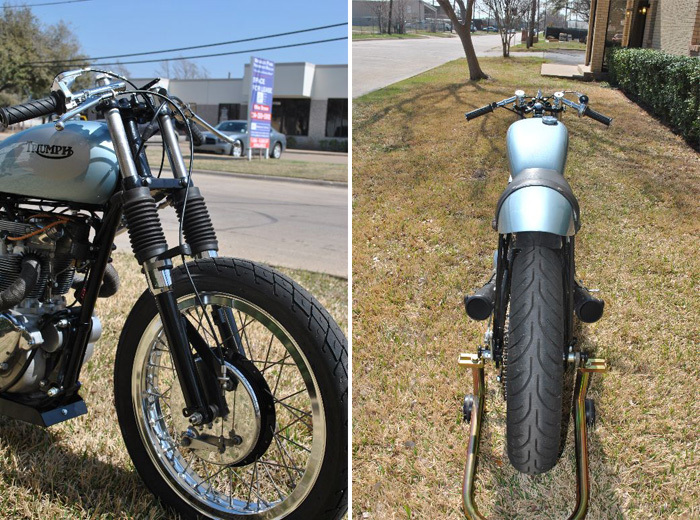 Tri-spark ignition set up with a BSA front brake setup. 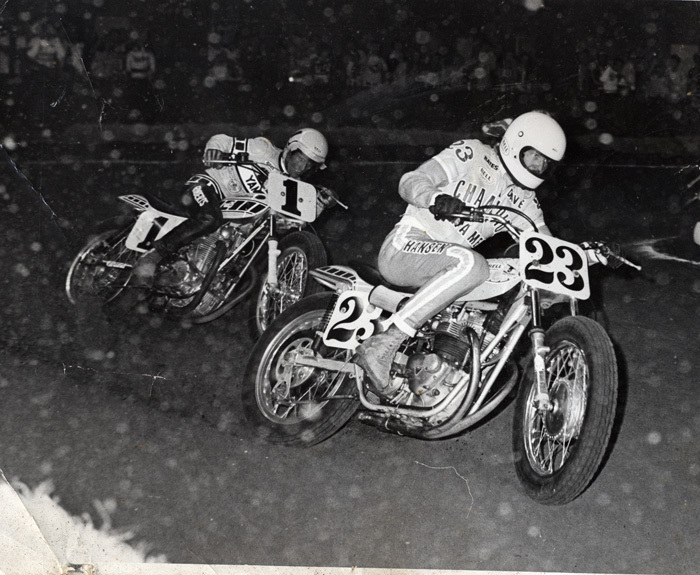 “Many Class C guys did this back in the day; it was the best brake setup you could run at the time” says Jerrett. 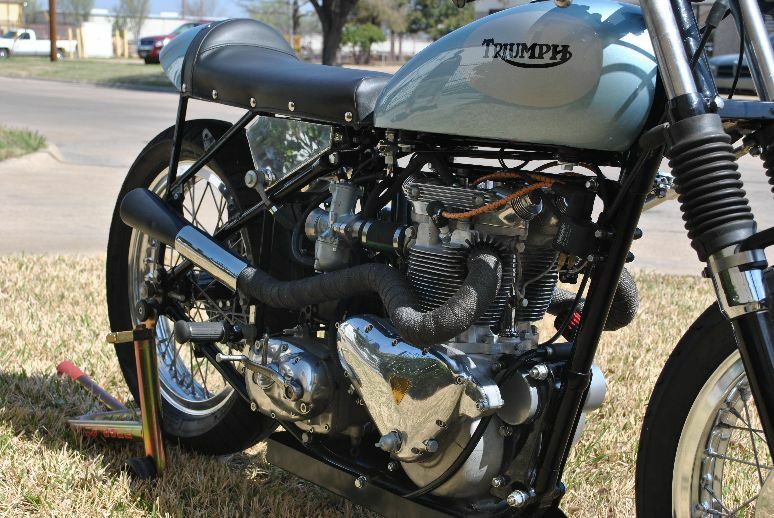 The tail section and sub-frame are dirt track components and the under-seat aluminum oil tank was made from scratch and fabricated in house. 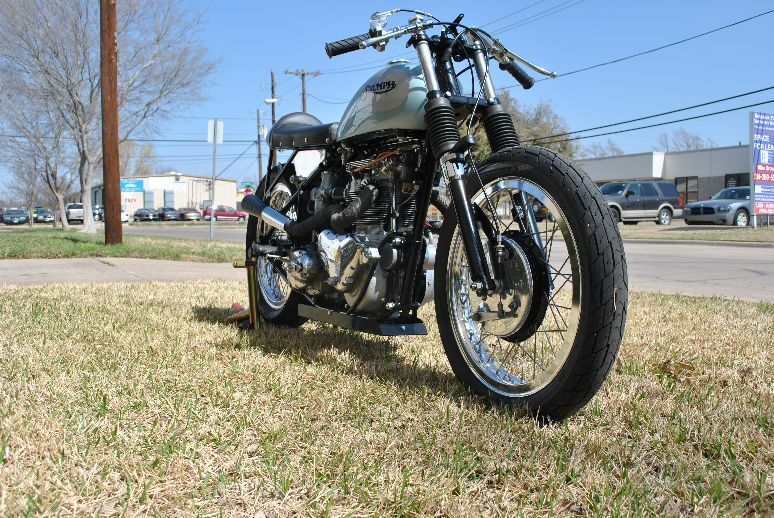 Big D Cycles plan on racing the bike again in the near future, and hopefully making the ultimate pilgrimage to Bonneville to test ‘Stiffy’ on the salt. 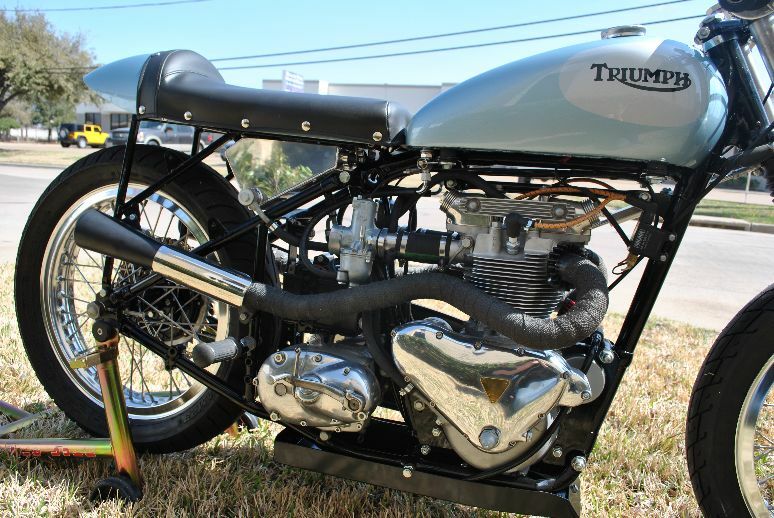 Check the very tumescence Big D Cycles blog for loads more beautiful projects and vintage photos.